We have decided to delay the launch of our latest Kickstarter to make plastic miniatures for the core models of the Peace River, NuCoal, and Utopian factions. One of our modelers, working on the NuCoal 3d models, had to deal with an important family issue and could not finish up the last 3 models this last month. Family is a priority for Dream Pod 9 and always comes first in our book, so we have delayed the Kickstarter launch to later in November. As we believe it would not be a good idea to launch it missing the 3d models of Chasseur, Cuirassier, and Chevalier for NuCoal. We have asked our other two modelers that worked on the Peace River and Utopian models to help and they are presently working on the 3d models and should have them finished sometime later this month. At which time we'll be able to finish up the Kickstarter video showing all the 3d models to be made into plastic and then proceed with the launch the Kickstarter. We are also taking this time to finish up the designs for the new Utopian vehicles revealed in our recent October 2017 Living Rulebook Update Mk2 Beta pdf. The Harpy upgrade parts for the commando drone and the new Gilgamesh Heavy Tank designs are all finished up and we are presently working on the final Ettin design. 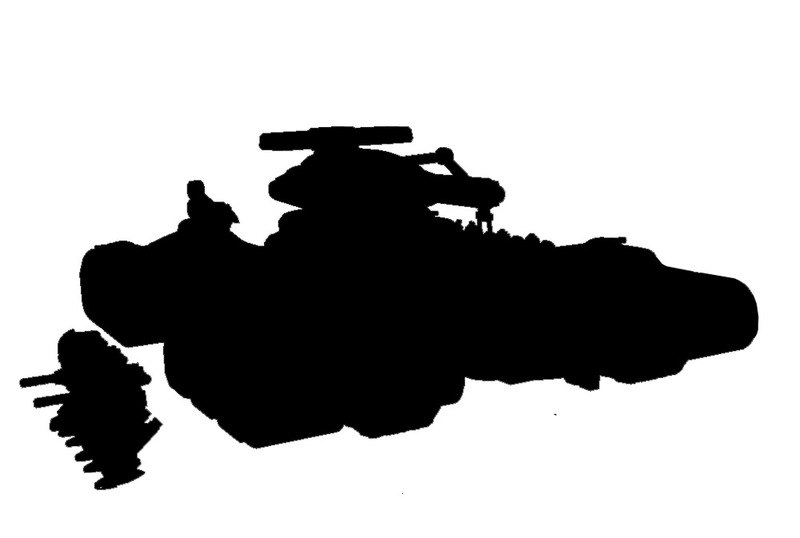 Here is a little teaser artwork of the Gilgamesh silhouette blacked out with 3 Recce Drones in the front for scale, enjoy!